When it comes to a great roof installation in Lake Oswego, property owners can benefit greatly from the professionals at Pioneer Roofers. As your dedicated roofing company, we’ve been providing installations of roofing in Lake Oswego for over 20 years. We aren’t just dedicated to excellent craftsmanship, we do what’s right for clients, and that means identifying the right roof for your property. Get the roof that works for you. 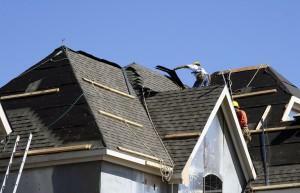 There are many factors a building owner should consider before beginning roof installation. As a trusted company for roof installation Lake Oswego relies on, we work with our customers to identify their needs beforehand. Base structure – Depending on the base structure, certain roof types may be easier to construct or provide additional benefits. Space considerations – Sloped roofs often provide extra attic space or room ready footage that flat roofs cannot accommodate. Yearly maintenance – Sloped roofs are better against rain and snow but more difficult to repair and evaluate. Flat roofs make personal maintenance and diagnosis much more simple, but suffer more often from water pooling and drainage problems. Material type – Different materials have different insulation ratings, initial and maintenance costs, and longevity. We’ll help you find the perfect material to meet your aesthetic wants while providing the reliability and elemental resistance you need. When it comes to pitched roof installation, Lake Oswego residents benefit from its excellent water control. Because water damage is one of the leading causes of roof repair, pitched roofs have a lower cost of repair that occurs less often. These roofs allows for a traditional aesthetic, and can be made with a variety of materials. From rustic shakes to lasting metal and reliable tile, whatever material you decide on, we’ll build it to last. For flat roof installation, Lake Oswego space conscious developers and environmentally conscious consumers are frequently choosing them for a host of benefits. This roof type has an a lower initial cost and works well on buildings with stacked floors. It can also be designed to act as additional living space. This can be accomplished with a green roof design that incorporates plants, grass, and patio areas. 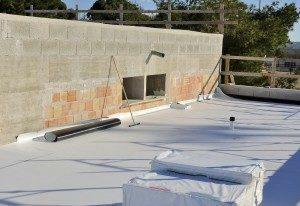 Though they do require less maintenance, flat roofs are prone to needing more frequent repairs. Get expert roof installation from the company that knows them best. We pride ourselves on our customer service, and that means keeping you informed at every step. From inspection through to completion, we’re up-front about costs, expectations, and progress. Employing technical and experienced local roofers to install roofs using the highest quality materials ensures our finished roofs stand above the rest. Call (503) 281-0305 or Contact Us for roof installation in Lake Oswego, and find out why so many people choose us to put a roof over their heads. © 2019 Pioneer Roofers. All Rights Reserved.